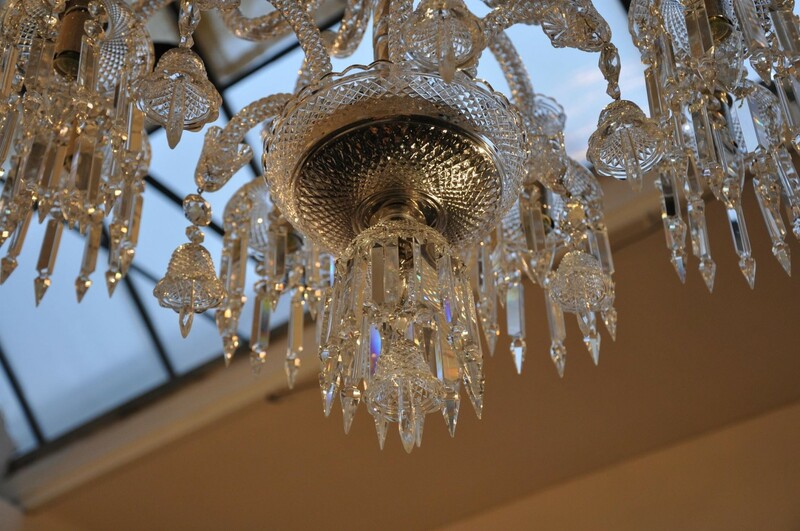 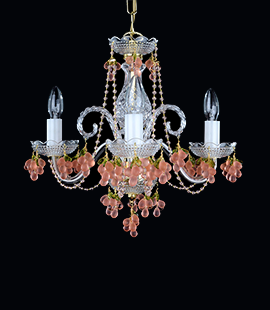 The Bohemian crystal chandelier made of hand blown glass parts with precision diamond cut . 6+6 finely twisted glass arms. 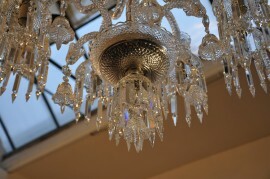 Silver glossy metal finish. 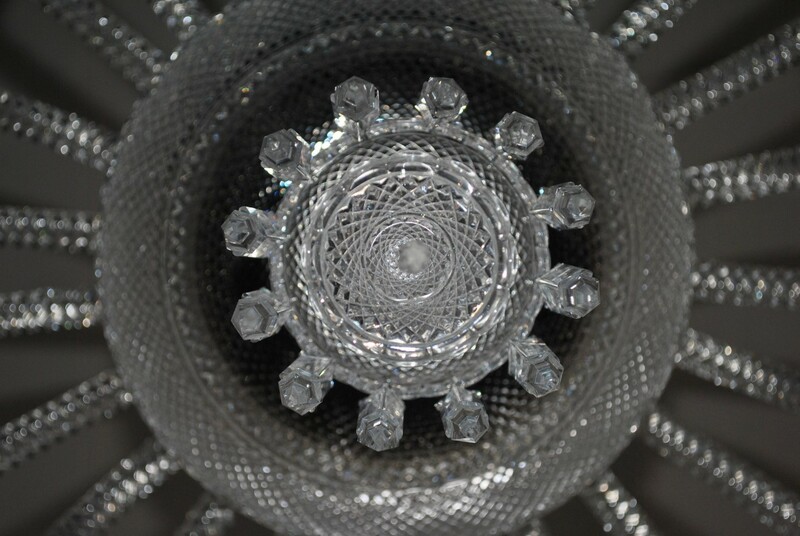 Clear Crystal Glass. 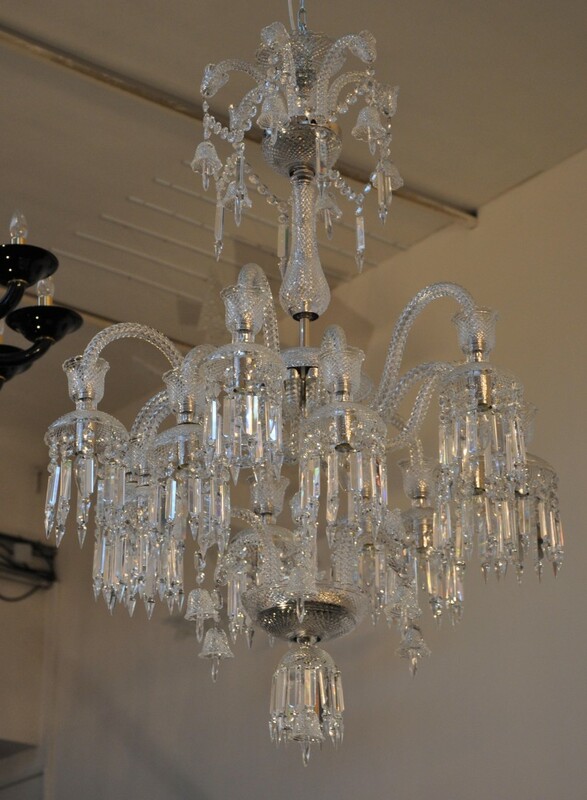 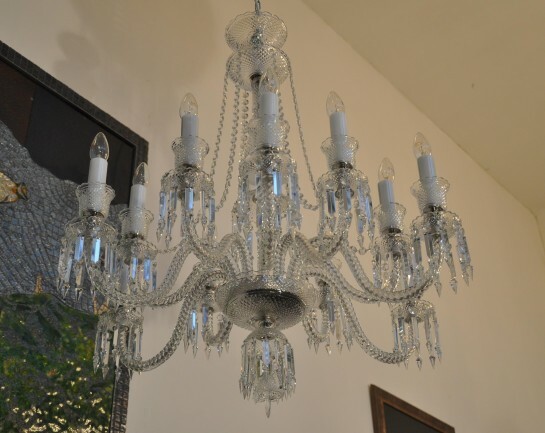 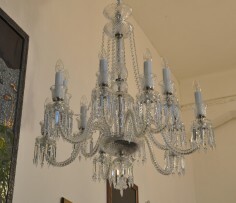 The luxury silver crystal chandelier with plastic hand cutting. 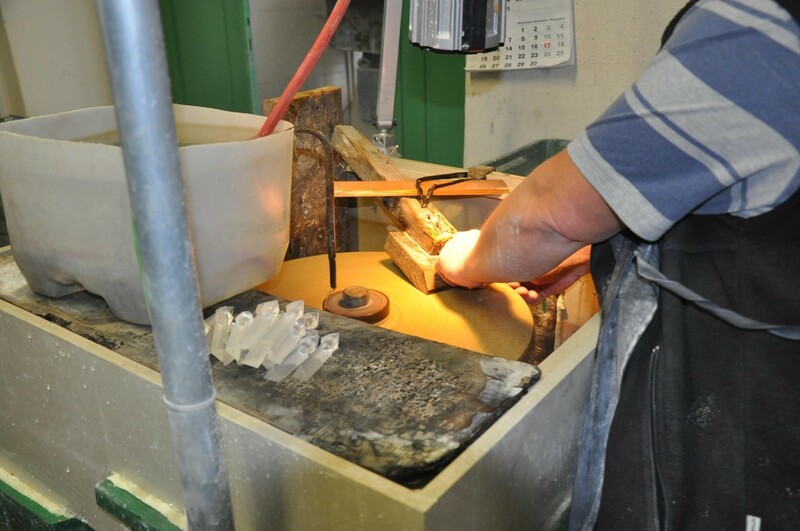 Trimmings hand cut and polished prisms (spikes). 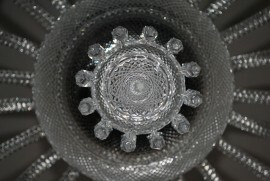 Dimensions (W x H): 65 x 67 cm/ 26.5"x27.3"
These chandeliers are always decorated with first class handmade crystal trimmings. 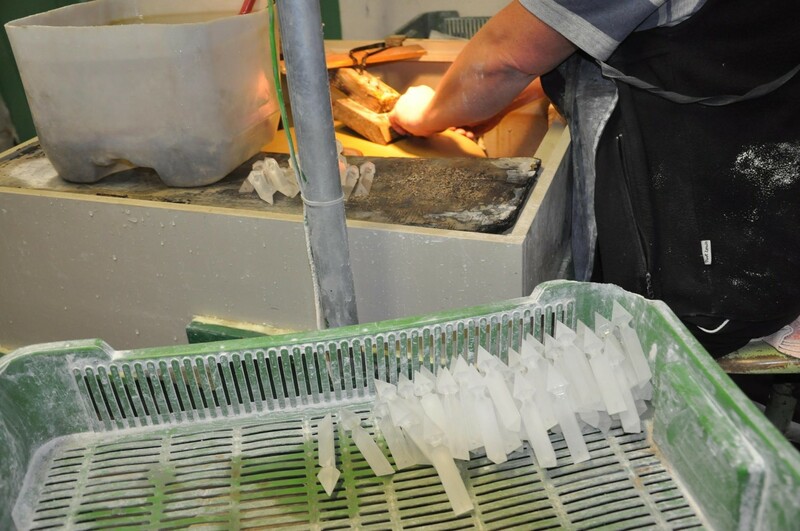 It starts in the glassworks where the raw glass material is molded into the metal molds (or pressed with pliers). Then follows coarse cleaning of the glass moldings on a cast iron disc and four-stage gradual grinding (the sandstone disc - See photo) and final polishing on textile discs with abrasive paste.